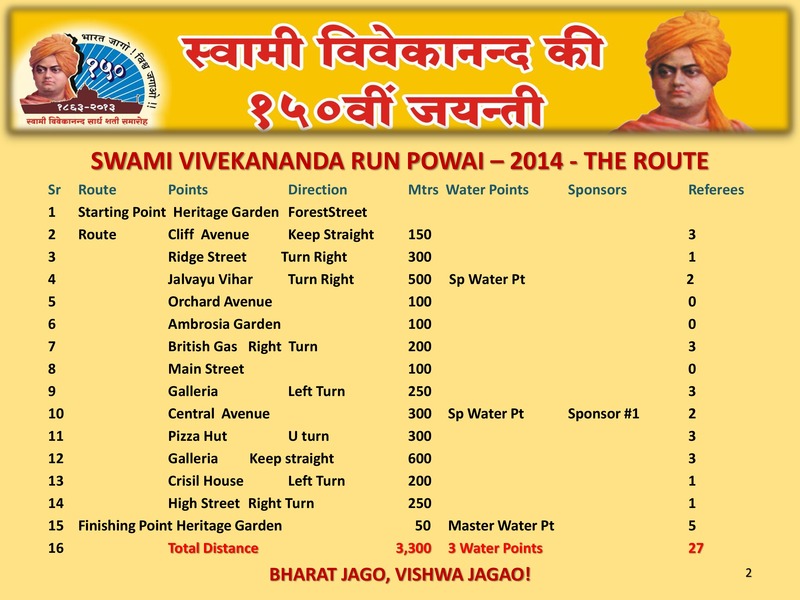 This run is organized by Bharat Vikas Parishad (BVP) Powai Chandivalli to commemorate the address of Swami Vivekananda in chicago on 11 Sept 1893. 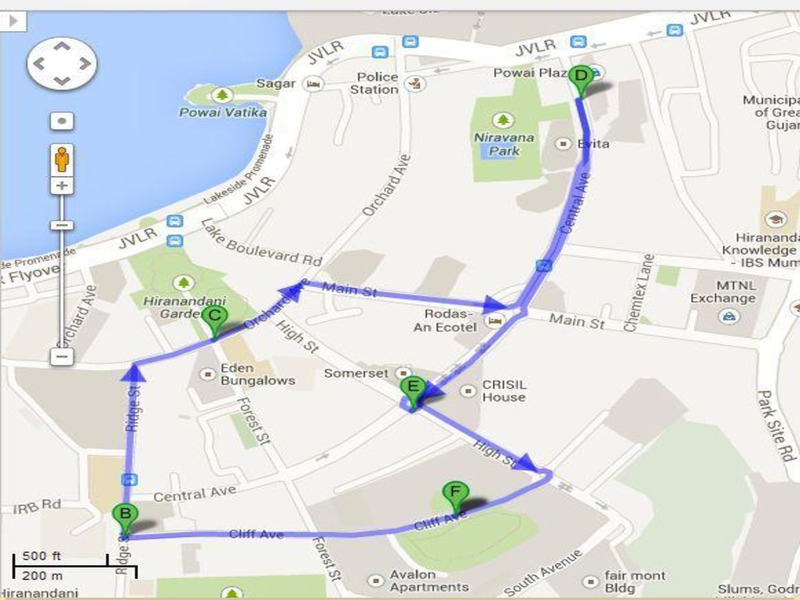 Please visit www.facebook.com/BJRPowai for more information. You can collect Bib No and T shirt for the race on 11th and 12th September between 7.00 - 8.00 am and 5 - 7 pm at Heritage Park, Hiranandani Garden Powai.